Rosenthal Shire, an area of 1968 sq km, was immediately west and south-west of Warwick. Its area included the hilly ranges running out of Stanthorpe and the southern fringe of the Darling Downs. 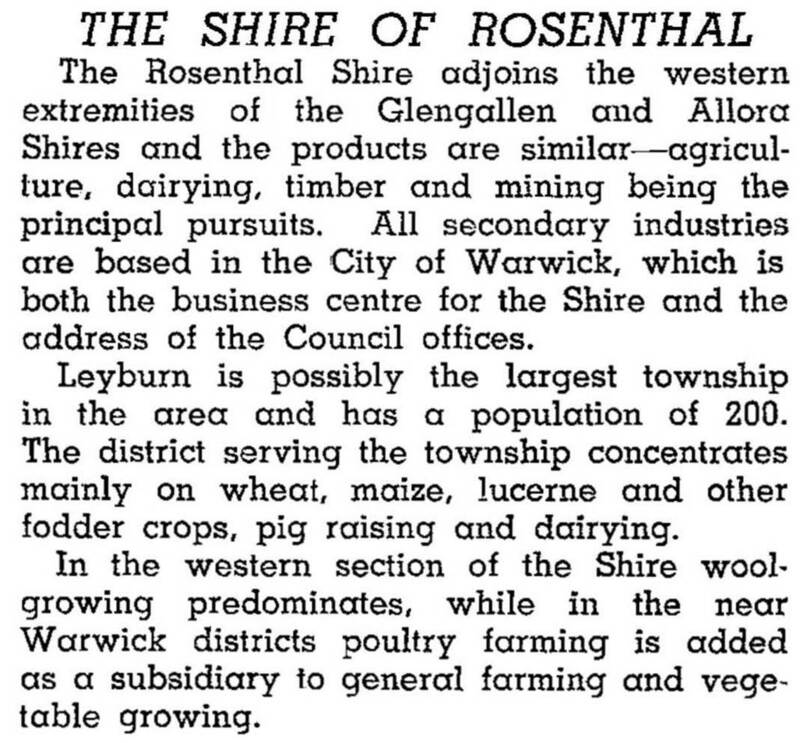 The Shire was named after the Rosenthal pastoral station, an area originally larger than the Shire. It became a famed merino breeding property, remaining intact until after the Land Act 1868 which brought about its reduction for farm selections. The Shire, however, was without a railway until the Warwick to Inglewood line was opened in 1904, running westwards through the middle of the Shire and by-passing Leyburn. The Shire's business centre was thus Warwick, and the Shire offices were also situated there. Leyburn had one of the Downs' last regular coach runs, and by the mid-1920s it was described as a once flourishing township. 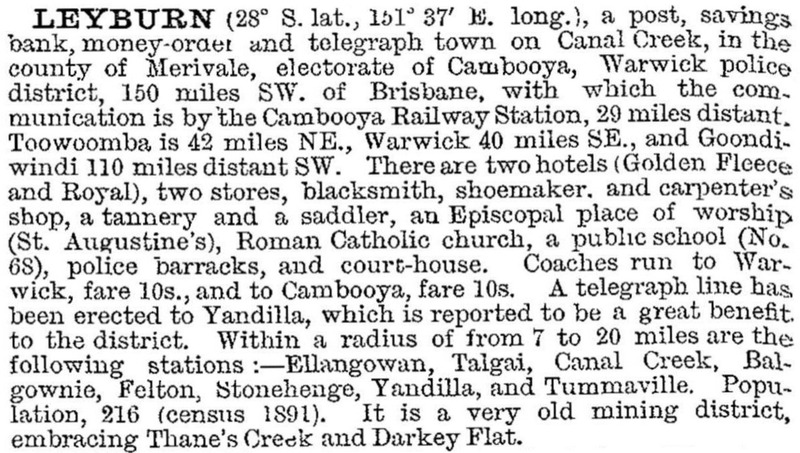 Its Church of England (1871) is an outstanding example of it type and is on the Australian heritage register. The Downs land was agriculturally versatile, raising cereals, fodder for sheep and cattle and maize. There were cheese factories at Leyburn and the smaller town of Pratten. Rosenthal Shire was predominantly a sheep grazing area. In 1994 there were 117,000 sheep and lambs, 29,000 beef cattle, 990 dairy cattle and 3000 pigs. Cereals, fodder and legume crops were grown on 3140 ha.